Albert and Andrew St. Gyorgyi. Home > Albert and Andrew St. Gyorgyi. 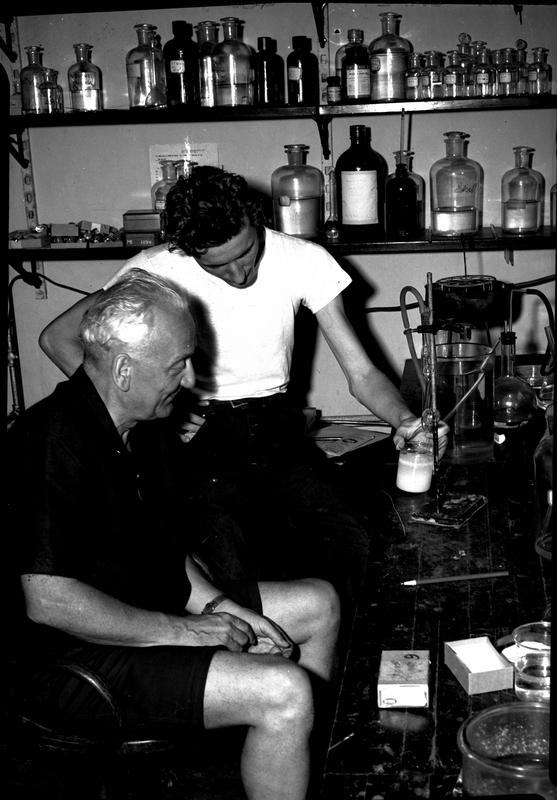 Black and white photo of two men working in a lab.